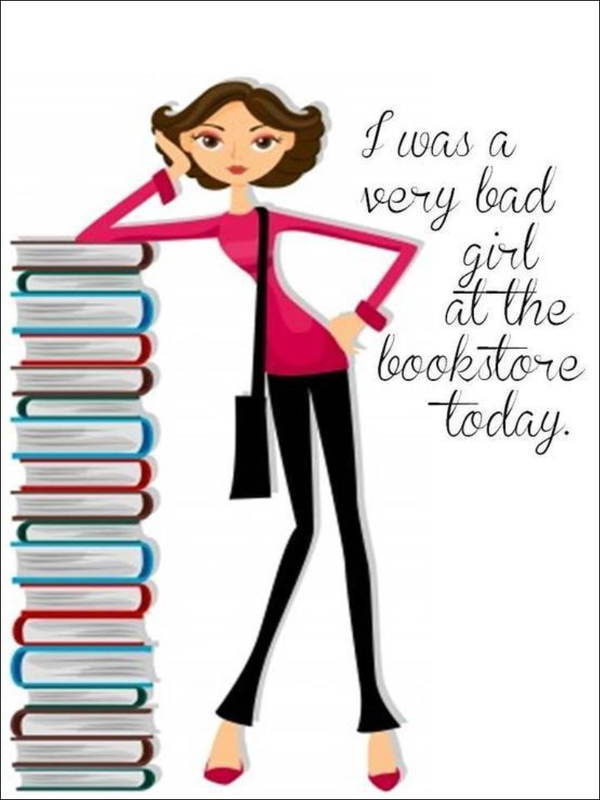 Get a Cool Read at Your Bookstore! Come into the Friends of the Rochester Public Library Bookstore today and pick up a good book! All proceeds benefit the library and the books are exceptional value! 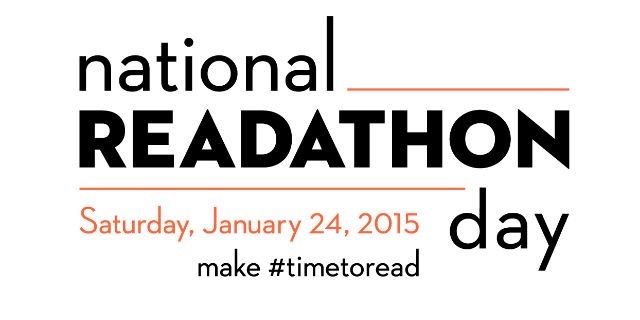 Then join in the National Readathon! And save the date for the Friends’ Winterfest BookSale!! **Maria Semple Where’d You Go Bernadette? Samantha Shannon is a British novelist, recently graduated from Oxford University (read English language and literature at St Anne’s). Her first novel, The Bone Season, (2013/14) was well received, published as one of expected seven series. She is an interesting young writer with a vivid imagination and the ability to translate this into riveting reading. If you don’t like cliff hangers, wait until the series is more advanced. Each book picks up right where the other left off. Read the charts, maps and glossary first to familiarize yourself with her terminology. They must be read in order. London in 2059 is governed by Scion, a security force that uses Oxford as a prison (Sheol 1). The heroine, 19 year old Paige Mahoney(#40) is an intelligent, impetuous, clairvoyant (dreamwalker) who works in Seven Dials within the criminal underbelly, as people with unnatural gifts are targeted (and have been since 1859, hence 20 Bone Seasons). It’s a fairly simplistic plot, although the characters are complex and complicated by her world building/foundation. Her keeper there, the Warden (Arcturus) provided mysterious, initial tension, and indeed I was waiting for him to appear in the second novel where they have escaped the prison and are hunted. The action promptly picks up with his arrival (halfway through!). He balances Paige, having age and experience to her youth and instability. While he challenges her, she provides the hope he has lost. Romantic tension will be resolved eventually, but is an important story element. Paige remains a fighter, and is strong and resourceful, a strong female lead, with a lot to learn. She returned to her old Mime boss (Jaxon Hall), who is slowly revealed to be quite a vile human, yet he is protecting Paige. While using her of course. The first half of the book reflects youth with indecision and inaction, although that can also be prudent while fact collecting. Steeped in politics, personal agendas, dickinsonian / penny dreadful details I became frustrated with where the story was going. Then it galloped right along, with twists and turns to yet another cliff. I am not sure I would reread this when the next installment appears. I do want to know what happens to the characters, but 5 more years? I was lucky to have recently read The Bone Season in the library, and delighted to be chosen to review this book. I loved her command of language, her creative world building (rotmonger, thaumaturge, Gutterlings), her nods to the old order (EA Poe, title, plus Raven – member of Guard Extraordinary, from the ravens of the Tower of London). I am still very impatiently waiting for Patrick Rothfuss to provide us with his trilogy. If you haven’t read that, drop everything else. NPR quoted a UK source which stated her as the next JK Rowling, but I don’t think there is much similarity. I liked it better thanThe Hunger Games. Rephaite- pl. Rephraim. A biologically immortal, humanoid inhabitant of the Netherworld. …known to feed on the aura of clairvoyant humans. Read as an ARC from Netgalley – thank you! Available at the Rochester Public Library (it already has several reserves)! Genre: historical, literature, gothic, eco gothic, paranormal, mystery, romance, nature and art themes, Canadian sensibilities. She is a Canadian author, (Phd Yale, Assoc Prof Cultural Anthropology, Univ Toronto). Scharper with her husband also spent a decade as a Bruce Peninsula assistant lighthouse keeper, later stewards for the Cabot Head Light House and Bird Observatory. This is her debut novel, very much a product of her love of nature (she describes her fiction as Eco gothic, a new literary genre building on traditional 19th century gothic, with the landscape as an active, central character). As a scientist myself I am thrilled with this new genre, as society as a whole should create a sustainable respectful relationship with nature. In our anthropogenic centric society we need to become more aware and familiar with nature but still are over consumers. How many of you remember the Greek myth of Perdita (“lost one”)? Or Walt Disney’s 101 Dalmatians? (Pongo’s mate)? I was absolutely enthralled with this tale: it is beautifully written, has well paced parallel stories of the present day and late 1800s through journal entries and letters and has a complex message. 1. Marged Brice, 134 year old, who has outlived her time, but needs to pass on Perdita. Also called dark eyed junco. She gives her diaries (from 1897) to Garth to convince him of her story, and they become a fascinating time capsule. And so much more. 2.Tad or Hugh Brice (Welsh for Dad) who was a light keeper at Cape Prius, Georgia Bay for 30 years, father to Marged. 3. George Stewart, acknowledged by the Group of Seven, and one of Canada’s finest painters (I couldn’t find any information on him!? I love the Group of Seven (and the latter Canadian Group of painters) and would love additional Scottish connections to this region). George is the mysterious love interest to Marged, but perceptive landscape master. 4. Garth Hellyer, distinguished professor, currently working on a Longevity research project. He is asked to interview Marged, and is entrusted with her journals/diaries and letters. The reader is taken back to 1897/8 when so many things happened to Marged. Garth, a WWII historian, won the Governor General’s Award for Literature. But he’s recovering from love and loss, perhaps once burned twice shy. 5. Clare (no last name for childhood friends?!) Clare had a job as curator for British Museum, currently back to the Bay to summer and sort through her life. This has a lovely romantic story between Clare and Garth while also untangling the mystery of Marged, Perdita, and George Stewart. Nature is a major character in this book, with evocative descriptions of bracing waters, rocky shores and all those who have gone before. There is tension between city and country life, differences between surface appearance and moral character, wild vs domesticated. There is also an element of artistic temperament, beautiful,descriptions of the process of painting, but also the character of painters. Her language is lyrical when describing nature, of wind, trees, waves and water. I am hoping there is a sequel. Or at least a continuation of her themes. While I enjoyed the parallel stories, each could have been further detailed, delving deeper into their times. There is SO much more to the Marged story after the diaries end and when we find her in the home. I had to look up additional information on George Stewart, Tom Tomlinson, Group of Seven, Hesiod. I read this in one sitting, just delighted with the detail and coming of age story. It passed the test of second reading, looking for quotes, finding additional clues, finding myself transported to the Georgian Bay shores. I want the painting Sylvan Chapel to exist. Historical fiction, mystery, supernatural, Canadian gothic (see Robertson Davies, Margaret Atwood, Susanna Kearsley) as well as traditional (see Bronte, Stevenson, Doyle and Wharton). Read if you like Kate Morton (2009) House of Riverton or Diane Setterfield (2006) The Thirteenth Tale. Of note Scharper also has a story collection titled: Dream Dresses and God and Caesar at the Rio Grande(UMinn Press, which won the outstanding academic book award). She has several fascinating nonfiction articles as well. What was the nickname my father had given her smile? Aurora borealis- he had always referred to Clare as his northern lights. The secret for old age is that we should sit like a tortoise, walk sprightly like a pigeon, and sleep like a dog. George called my eyes a Great Lakes blue. I thought most long stories had a short version. What would your trees say about you? May the wind and the trees always carry your name- branch to branch, breath to breath- across my beloved Bay. Of special note: the cover art by Amanda Kain is particularly fine and evocative. Amy Hudson grew up in Oxford and read English at university. This is her fascinating intricate debut mystery novel, available from Troubador Publishing at WHSmith and amazon.uk. DCI Mark Morgan has a lot going on in his life. The police station in Hipton, a small market town, is about to be subsumed by nearby Bristol constabulary. His brother Joe is working too much in London, leaving little time for his children or wife Becky. Becks as Mark calls her, is also a stressed school teacher, caring mother and daughter-in-law. Much of the story revolved around her, through her eyes. His father, Harvey, is a cantankerous old man (only 75), complicates the backstory by revealing he is dying of bone cancer, while not wanting his sons to know. He recognizes that his wife Liz needs someone to talk to, and believes Becky is the logical person. This however adds even more stress to her. Meanwhile, a number of deaths have occurred over several months. All seemingly unrelated, all believed of natural causes. Except that you as the reader know otherwise. Because you have read the opening paragraph. Which states: “Agnes Brink sat at her desk staring at her reams of notes, re-reading them over and over again. She made a decision which she found remarkably easy. In order to reunite with her family she would have to kill. ” I will never look at ancestry.com in quite the same way. Agnes Brink discovered that her relatives were murdered in 1712 and decides if she kills individuals in the same age group (grandmother Anna, son Hendrix and grandson Caspar) they will be reunited with her. The flashbacks from 2013/2014 to 1985, 1988 present a few clues as to the true nature of Agnes Brink, but sympathy is not among them. Perhaps it should be, as she had a wretched childhood. But as she randomly selects her victims, sanity escapes. I became attached to the characters and was worried who she was going to murder, each time, especially as she goes undetected. I was truly uneasy when the murders were complete but we were only half way through the book. You have no idea if she is finished, will she get caught, what is to happen next. DCI Morgan finally puts all the pieces together, but so much remains unresolved at the end of the book. I wasn’t all that sure I wanted to know what happens to them next! It is not a comfortable read, there is an edge to all the characters and a lot of dark english reality. However, the complicated family is well established for a continuing series. If you like Susan Hill, not just her Simon Serallier series, but her other edgy ghost stories and mysteries. If you read Frances Fyfield/Frances Hegarty’s psychological thrillers. If you like Barbara Vine and Ruth Rendell. received as an ebook from the author in exchange for an honest review.